The route Thanksgiving starts up Stepping Stone and pulls out around the arête at 25 feet. 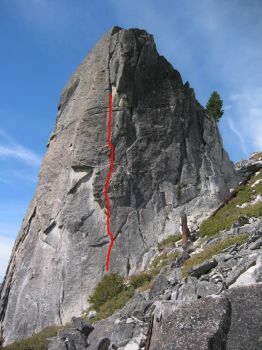 It then follows the line of weakness to what is the first belay of Desparado. Nice sunny warm up. Which SuperTopo guidebooks include a topo for Thanksgiving?